Like all Sunice offerings, the Spectrum Insulated Ski Jacket is rooted in the principles of being durable, rugged, and stylish. The Sunice Spectrum Insulated Ski Jacket takes that idea to a new level, however, since it offers the most professional features available for men in a sporty design inspired by racers. Beneath the outer layer (waterproof to 20K,) you’ll find 100g of synthetic Primaloft™ insulation, which keeps you warm better than traditional down, even when wet and compacted. 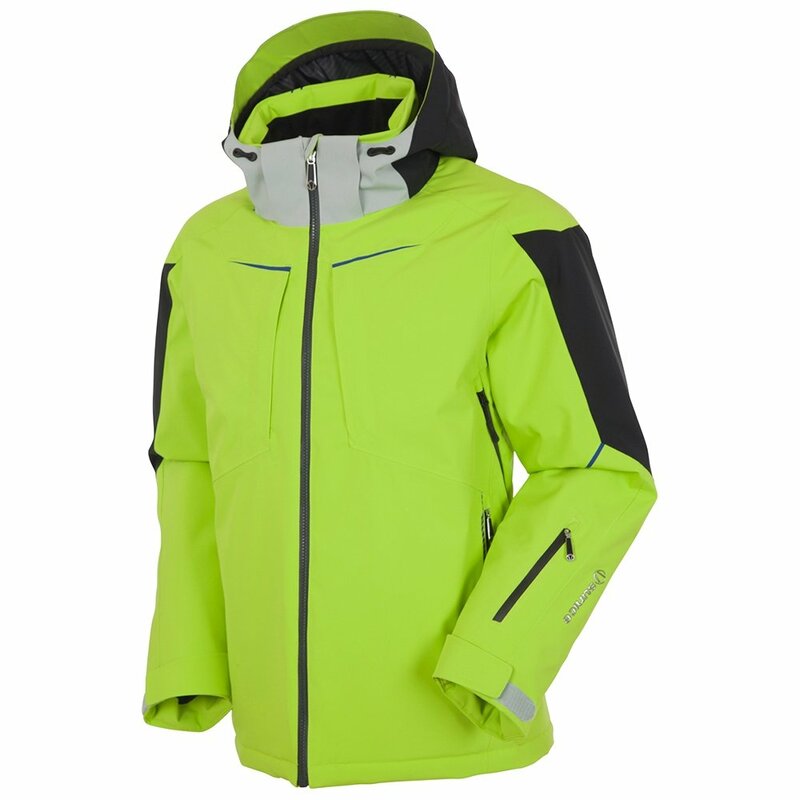 Other high-end features on the Sunice Spectrum Insulated Ski Jacket include an inner goggle cleaner, fully taped seams, a detachable powder skirt, and a cord-lock system on the hood.